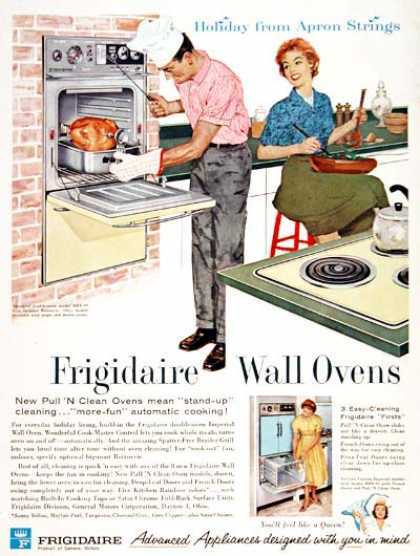 There often seems to be a satirical cast to images of a man wearing a toque blanche—at least that was the case back in the 1960s. Part funny hat syndrome, part gender-role reversal: on the occasion of Father's Day this weekend, we could get into all kinds of theories on the semiotics of such portrayals. But I would rather just offer thanks to dads everywhere, for everything. 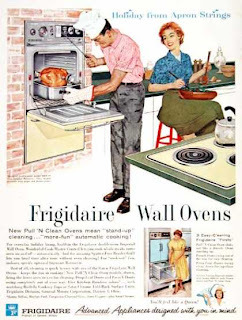 And to this turkey-tending fellow, I offer an apology on behalf of Frigidaire, which failed to see the wisdom in putting a window in its wall-oven door.